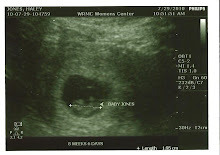 Keeping Up With The Jones': Ready to bake? Here's a recipe! Ready to bake? Here's a recipe! Before the holiday crazy sets in, I found this old favorite recipe!! Enjoy!!!! Sample the tequila in a large glass to check quality. Take a large bowl, and check the tequila again, to be sure it is of the highest quality. Pour one level cup and drink. Turn on the electric mixer. Beat one cup of butter in a large fluffy bowl. Add one teaspoon of sugar, beat again. At this point ,it's best to make sure the tequila is still ok., so try another cup. Turn off the mixerer thingy. Break 2 leggs and chuck in the cup of dried fruit . Pick the frigging fruit and damn cup off the floor. Mix on the turner. If the fried druit gets stuck in the beaterers, just pry it loose with a drewscriver. Next sift two cups of salt,or something . Check the Tequila. Now shift the lemon juice and strain your nuts. Add one table. Add one spoon of sugar, or somefink or whatever you can find. Grease the oven. Turn the cake tin 360 degrees and try not to fall over. Don't forget to beat off the turner. Put the bowl through the window , finish off the booze and make sure to put the dirty stove in the dish washer. 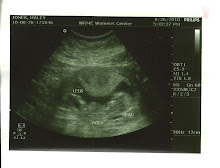 I'm a proud aunt again! !